It’s time for LE to go back to square one in the Kyron Horman case. Kyron deserves to be found. Link to Podcast. Don’t miss tonights special one hour with Blink from BlinkonCrime discussing her exclusive interview in the Kyron Horman case. Desiree Young, the mother of missing Kyron Horman, stated that this weekend search for her son was successful. More than 100 volunteers, two nonprofit organizations and 10 search dog teams from around the country, joined the search effort in the Portland, OR area to look for evidence that might help solve Kyron’s disappearance. Young said this weekend’s search turned up “a lot of things and possibly evidence,” but she would not elaborate on what items were found. Young remended everyone that there is on ongoing police instigation. 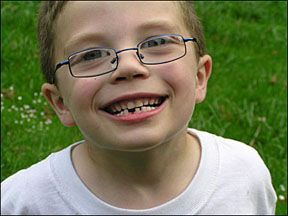 We can only hope that some clues were found that can finally solve the disappearance of Kyron Horman. The 7 year old went missing when he vanished from Skyline School on June 4, 2010. Kyron’s disappearance prompted the largest search in state history, but he was never found. During a news conference at Skyline School Sunday evening, Desiree Young said a search she organized for her missing son, Kyron Horman, was successful. About 60 volunteers, two nonprofit organizations and 10 search dogs focused on the area around Northwest Germantown Road and Skyline Boulevard. The search started Saturday morning and wrapped up Sunday. “We’re not going to find Kyron if we’re not searching,” said Young. Young said the search turned up “a lot of things and possibly evidence,” but she would not elaborate on what items were found. She said the items were turned over to the Multnomah County Sheriff’s Office. A spokesman for MCSO said they received the items and were processing them to determine whether it’s related to the Kyron’s case or not. MCSO was aware of the search but was not involved.